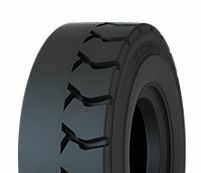 SOLIDEAL Hauler HA-TR by CAMSO is a unique 50-50 tread design with half smooth and half traction tread pattern. Designed for best use on railway construction where the smooth portion of the tread can roll smoothly on the tracks whilst the half traction side provides grip when transcending. 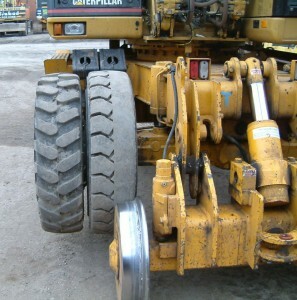 Also benefits high demand forklift use with constant turning.